‘It started out because I couldn’t find both of the earrings in a pair so I would just put different ones on, but now I do it all the time. It looks so cool, no?’ Carine Roitfeld says on her tumblr. Looks pretty cool to me, perhaps a new trend? 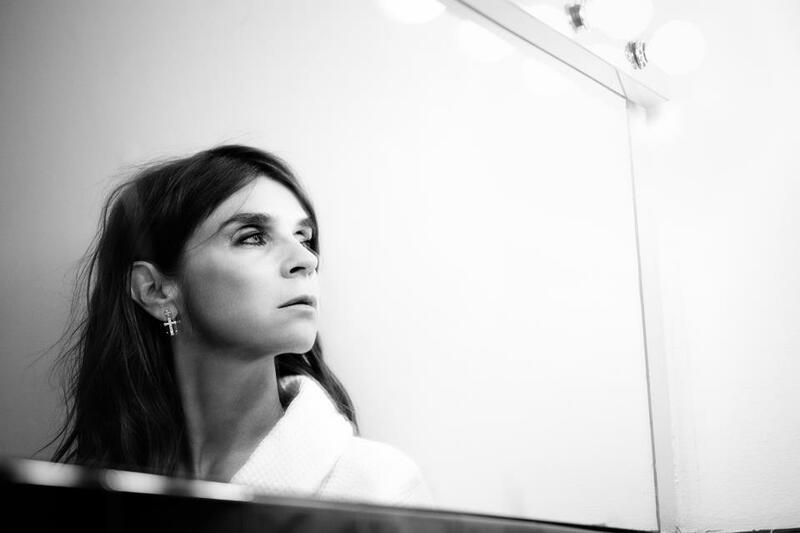 Carine wears on the picture an earring from Dior, and in the other ear a delicate and more subtle earring from Chanel. Have a look at some more of her editorial snapshots here. By the way, I read an interview with her and she seems to be such a fabulous woman. Carine mentioned that because of her age, her body has started to get weaker, and that is why she began to dance ballet. The former editor in chief takes ballet classes every morning and got so inspired by the art form that she dedicated a whole issue of her CR Fashion Book to dance, and her second issue is simply called ‘Dance’.